Egypt’s “men of the armed forces have achieved a scientific leap” with an “astonishing miraculous scientific invention” that detects and cures AIDS and Hepatitis C.
Egypt has the highest rates of Hepatitis C infection in the world. More than 70,000 have officially signed up for the “latest Egyptian scientific and research breakthrough for the sake of humanity,” which Egypt’s military announced would be available by June 30–timed to herald the one-year anniversary of the military coup which toppled the elected government, said the chief spokesman for Egypt’s military. But the AIDS cure is a hoax. The bogus ‘science’ behind the purported cure Egypt’s military claims it has discovered for the deadly diseases is identical to that first marketed as “a great novelty item to have fun with” to find lost golf balls before the con artists behind it were jailed and further sales made illegal. More sobering, it is the identical “science” currently sold to dozens of military dominated dictatorships and claimed capable of sniffing out drugs, terrorists, explosive devices, and even truffles. That equally entirely ineffective device is also currently used by the Egyptian military as a bomb detector. Peddled as explosive and drug detectors, corrupt military officers line their pockets with bribes in exchange for agreements to spend hundreds of millions of dollars in public funds to purchase the contraptions they know are useless, which has directly resulted in the deaths of thousands by bombs the gadgets were incapable of and failed to detect. 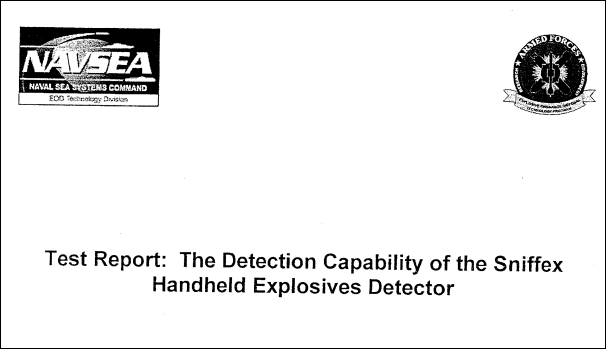 Despite numerous scientific studies and criminal prosecutions that have unanimously shown the explosives detectors to be scams, the narcotics and explosive detectors remain in wide use by regimes dominated by the security forces, including Egypt, Iraq, Nigeria, Thailand, Mexico, Pakistan, and dozens of other governments ruled by guns whose response to public criticism and media scrutiny is harsh crackdowns on freedom of press, speech, and the jailing of opposition voices and journalists. 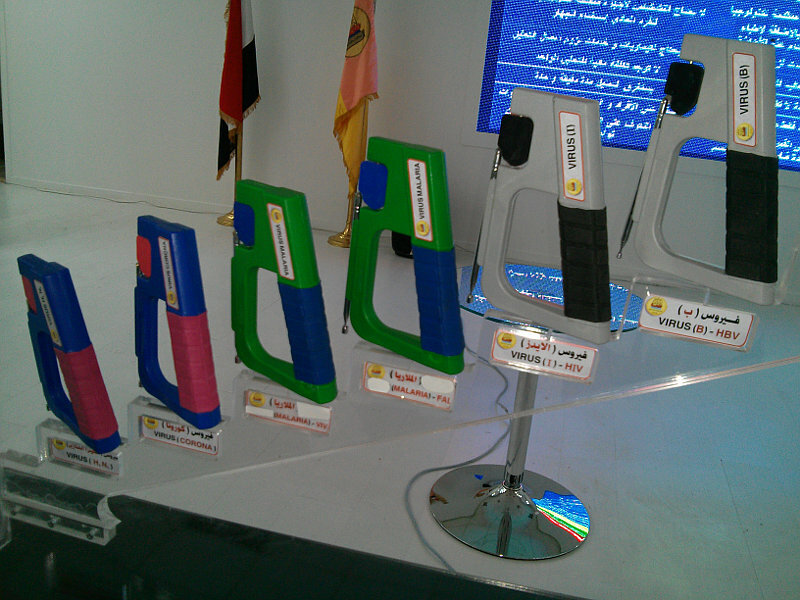 Identical “bomb” detectors sold to Egypt, Thailand, Iraq and elsewhere and the “golf ball” detector that preceded it. It has been only the harsh glare of scrutiny from a vigilant, unfettered press, accompanied by a politically independent judiciary which has curtailed the use of this lethal junk science. But, in countries with lopsided influence of the security services such as Egypt, the deadly fake science flourishes, despite the rulers of these governments having full knowledge that repeated, rigorous, scientific testing has all shown the technology to be useless. 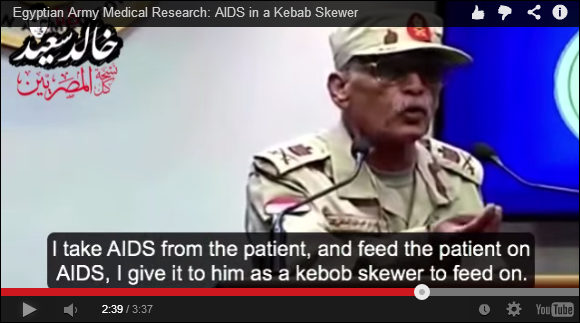 Egyptian Major General Abdullah Taher, a bomb and explosives ‘expert’ and head of the army’s engineers, said the “AIDS cure” devices had been “successfully” tested “on large numbers of patients in army hospitals” but would be available only in military hospitals, the scientific technology kept a state secret, and would not be exported to protect Egypt from “the mafia” of big nations that control the pharmaceutical industry. None of the research involved has been published in any recognized medical journal. In fact, Egyptian “Doctor Major General Dr. Ibrahim Abdul Atti” is neither a medical doctor nor a general. He claims to have a degree in herbal medicine from Sri Lanka and his rank in the military was recently bestowed as an honorific title, Egyptian bloggers and journalists recently reported. Until at least 2013, he appeared as a faith healer on religious TV channels. In 2009, in Saudi Arabia he was charged with sorcery. 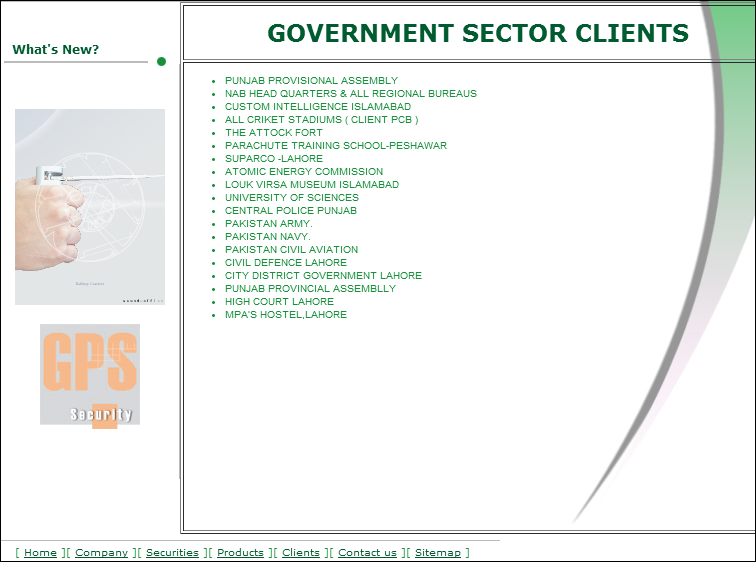 He appeared on TV to promote his medicines and treatments and “he had a clinic in Haram that was closed by ministry of health in 2000 and another one Maadi but closed recently for some legal reasons” and “he is a not a Major General in the army but rather an Assigned Major General which means he is not a member of the armed forces,” the anonymous bloggers revealed in recent weeks. Military officers blamed the revelations and criticism of the alleged AIDS and Hepatitis cure on Jewish plots to discredit Egypt’s scientific prowess. Egyptian TV footage showed a handheld box with a large antenna protruding that swings and points towards the disease afflicted but remains motionless in the presence of those who are healthy, and uses “electromagnetic waves to kill the virus and turn it into amino acids.” A patient was shown on Egyptian State television wearing a T-shirt which read “Tune into the right frequency!” with a graphic of a 1950’s style transistor radio. “All the results are great, showing you had AIDS but you were cured. Thank God,” Maj. Gen. Ibrahim Abdel-Atti told a patient in a clip of the broadcast. 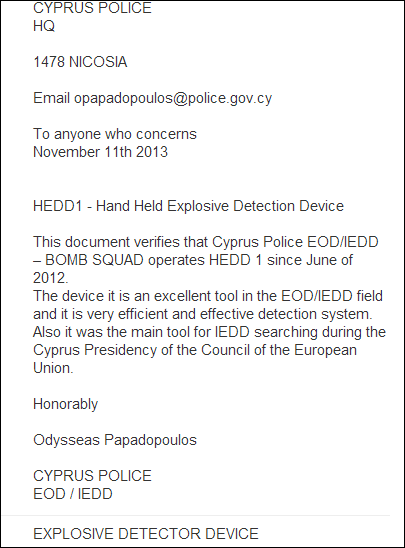 But the same exact device was photographed being used as a bomb detector during the Egyptian “elections” in May 2014. 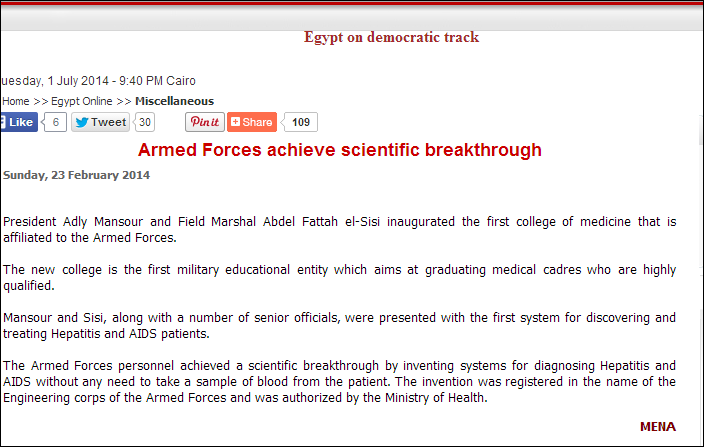 The Egyptian military is not widely praised for its scientific or medical policies. Hepatitis C is an epidemic in Egypt, which has the highest infection rates in the world, with estimates of 10 per cent of 86 million Egyptians infected. Hepatitis C is the legacy of botched government campaigns to treat rural populations for schistosomiasis, a water-borne disease which was endemic in Egypt 30 years ago. The treatment campaigns involved injections reusing needles that spread Hepatitis C virus. 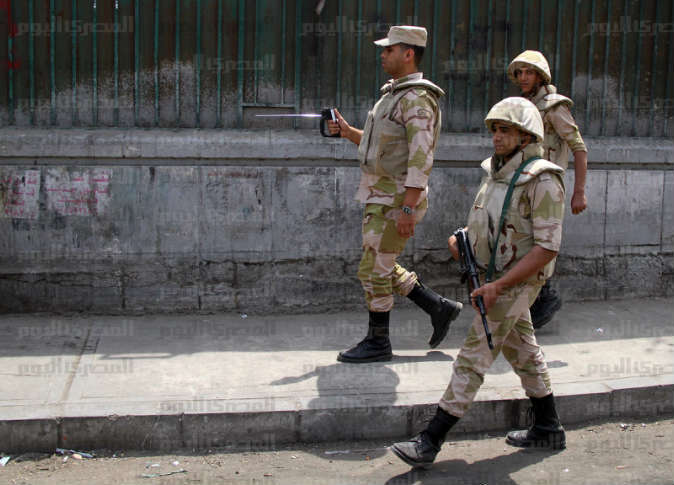 In June 2011, then head of military intelligence and now dictator General El Sisi said he had ordered the military to forcibly conduct “virginity tests” on female anti- government protesters. In May 2012, Egyptian military doctors beat anti-military protesters at Cairo’s Kobri el-Qoba military hospital, according to a leaked presidential report which recommended an investigation of military commanders. The report also said doctors, soldiers and medics assaulted injured protesters inside the hospital, that the military tortured, killed and were behind forced disappearances of protesters, that military doctors ordered operations on wounded protesters without anesthetic or sterilization, and doctors, nurses and soldiers beat wounded protesters before locking them in a hospital basement. 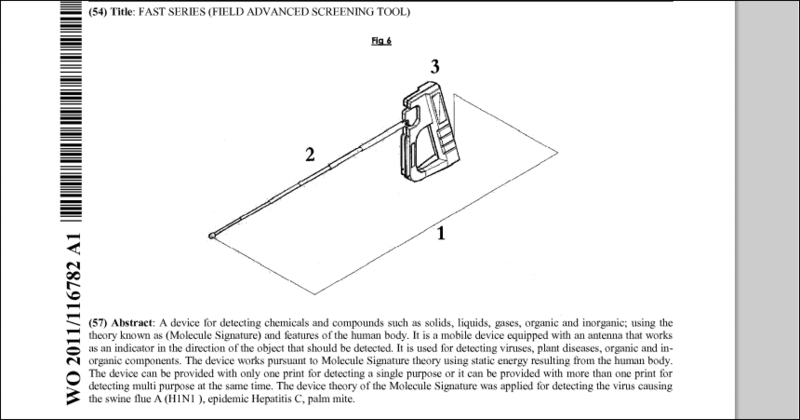 The Egyptian military discovery which “detects and cures AIDS and Hepatitis C” bears an uncanny resemblance to a number of identical contraptions sold in recent years to many corrupt military dictatorships to sniff out drugs, terrorists, and car bombs by a series of con artists, charlatans, stock market manipulators, and a smorgasbord of characters who had visions of get rich quick schemes to good to let ethics, science, or a trail of dead and injured give them pause. 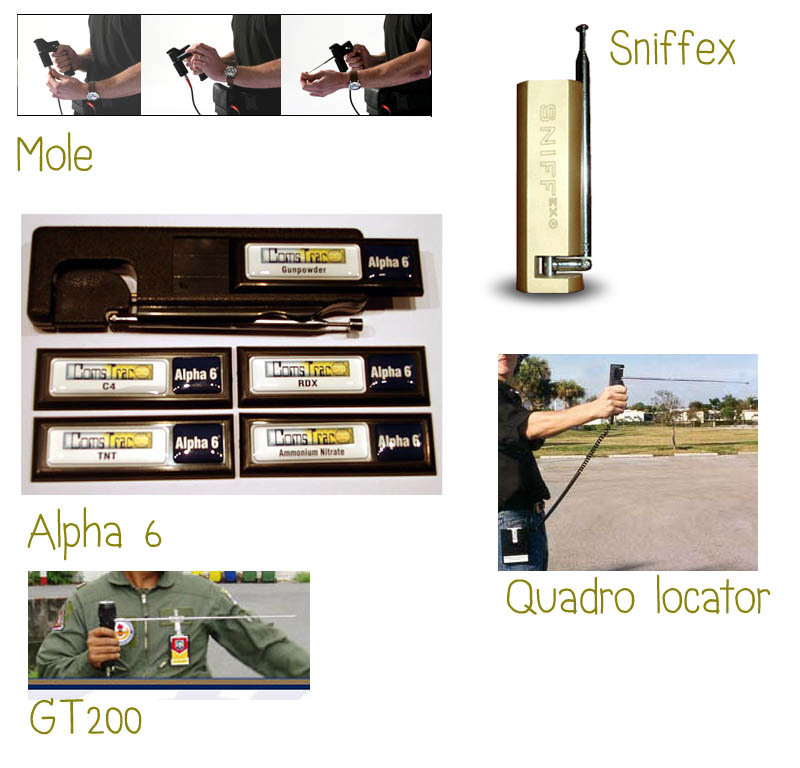 Quattlebaum later renamed the “Golf Ball Detector” the “Quadro Tracker Positive Molecular Locator” and contended it could detect everything from explosives to narcotics to missing persons by identifying the signature “molecular frequency” of each. The Tracker consisted of a handheld unit, with an antenna mounted on a plastic hand grip, and a belt-mounted box containing “carbo-crystallized” “software cards” programmed, Quattlebaum said, with the specific frequency of whatever the user wished to find. No batteries or power source were necessary. The Tracker was powered by the static electricity created by the operator’s own body. When it found what it was looking for, the antenna turned and jiggled at the contraband. 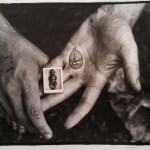 Prices for the device ranged from Quadro’s golf ball-finding variant, the Gopher, by mail order for $69, up to $395 to $8,000 to find dead or alive human beings, which required a Polaroid photograph of the person be loaded into the programming box. Sandia National Laboratories determined the “Quadro Tracker” and found that it was an empty plastic box containing no electronic components and which had wires and an antenna designed for a transistor radio aerial which were not connected to each other. 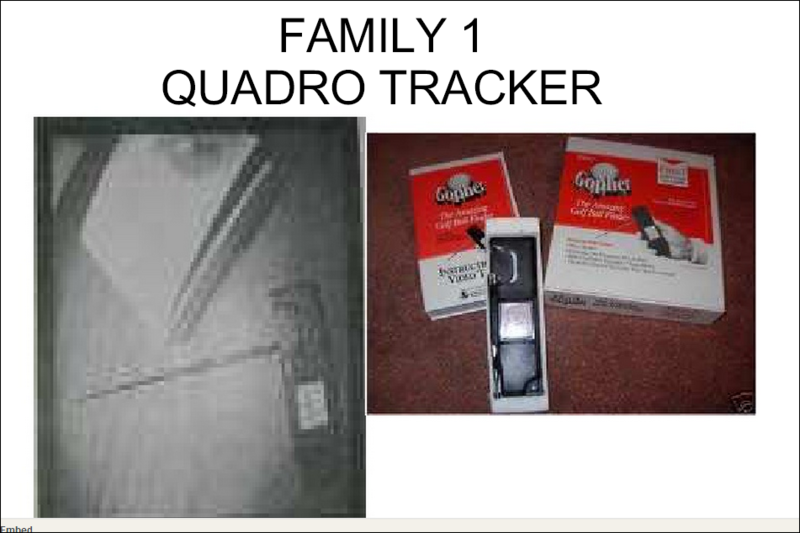 But by 1996 about 1,000 Quadro Trackers had been sold to customers including police departments and school districts. 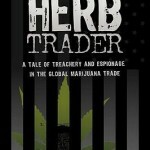 It was the same year, 1996, that the business partner of the former used car salesman Quattlebaum, a British citizen named Malcolm Roe fled the U.S.criminal charges and returned to the UK. The two ‘businessmen’ together marketed the “Gopher” Golf Ball Finder which they offered first by mail order for $19.95, and then came up with the evolved “Quadro Tracker”, also known as the “Quadro Positive Molecular Locator”, which which they sold for up to $8,000 to schools and small town police departments–until the FBI caught wind of the scam and it was banned in 1996. Wade Quattlebaum went to trial, charged along with Roe, but Roe did a runner back to the UK, and took along with him the knowledge of the now illegal Golf Ball Finder. By 1999, Malcolm Roe had resumed his scheme without missing a beat, now partnered with two other Brits, Jim McCormick and Gary Bolton and they renamed the golf ball finder “The Mole”. 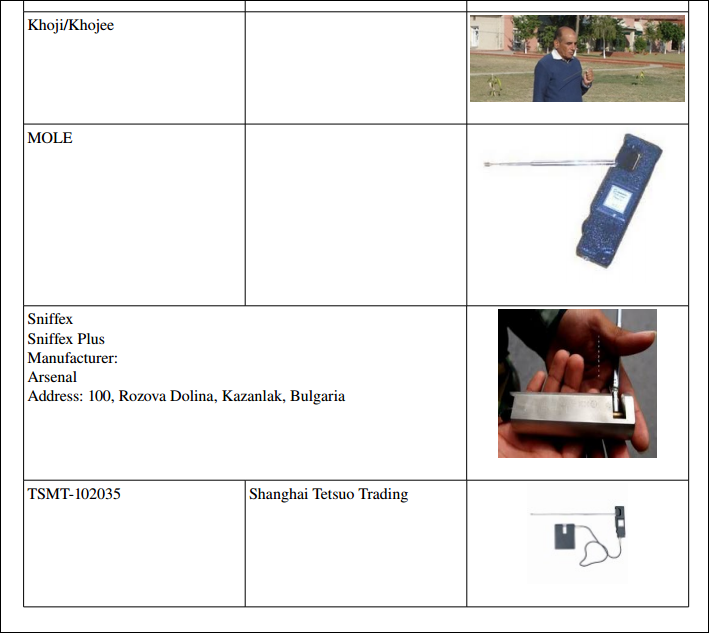 Like the “Gopher” golf ball finder, the Quadro Tracker, and, later, the “Mole”, SNIFFEX, the “Alpha 6”, the “ADE 651”, and the “GT200” bomb and drug detectors, as well as Egypt’s “C-Fast” AIDS cure-all, they all basically feature a small hand held plastic box, shaped like an office stapler gun which featured a protruding rotating antenna which pivots towards the targeted person from up to 500 meters, has a slot to slide in an ATM-like “sensor card”, and uses no batteries or other electrical power source, save the power of the operator’s own “static electricity”. They are modern versions of the diving rod, used since the 16th century to locate, usually, water, and at times, more optimistically, gold. In 1999, Gary Bolton paid the British Army Royal Engineers Exports Support Team (REEST) £500 to test the Mole. The army unit found it to be accurate only about 30% of the time–in other words it was useless. 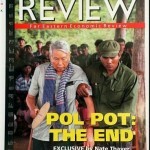 But by 2000 Bolton had sold the MOLE in Malta, Egypt, Uganda and South Africa. 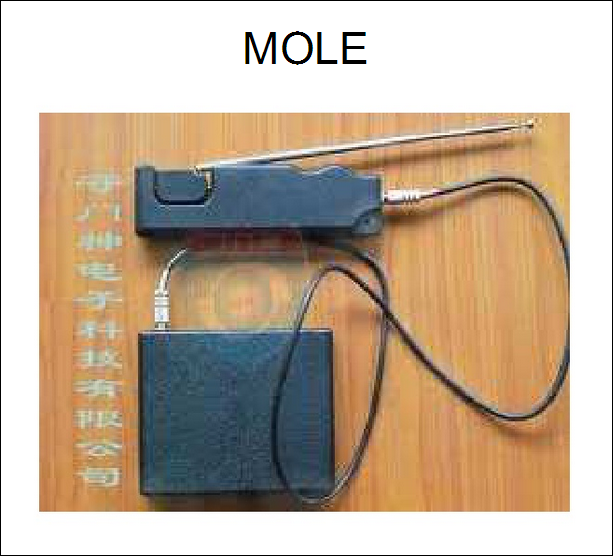 In 2001, he bought the rights to sell the Mole from Roe for $50,000, and the purported detectors were produced by his newly formed Global Technical. 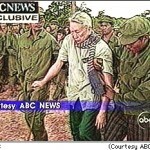 Bolton sold more of the Mole’s to the Dutch Antilles, Mexico, and Peru, at a reported $11,000 each. 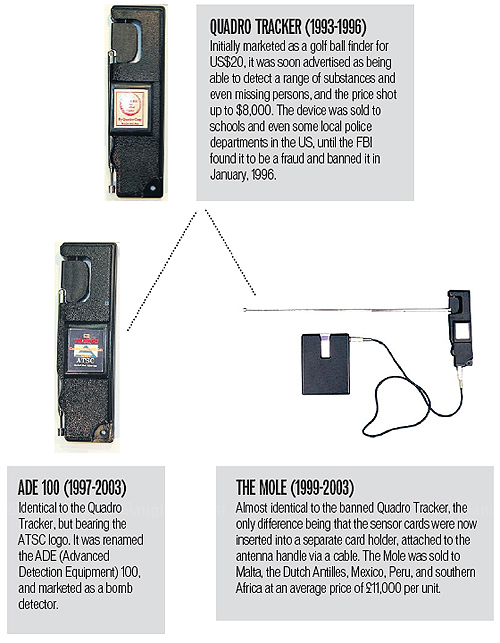 Like the “Gopher”and the “The Tracker”, “The Mole” was marketed as a “programmable substance detection system” which did not use any power supply, was “programmed with sensor cards”, and claimed to detect a host of substances from narcotics to explosives. Bolton described the science as ”molecular resonance”, but later changed this to ”dia- and para-magnetism”. 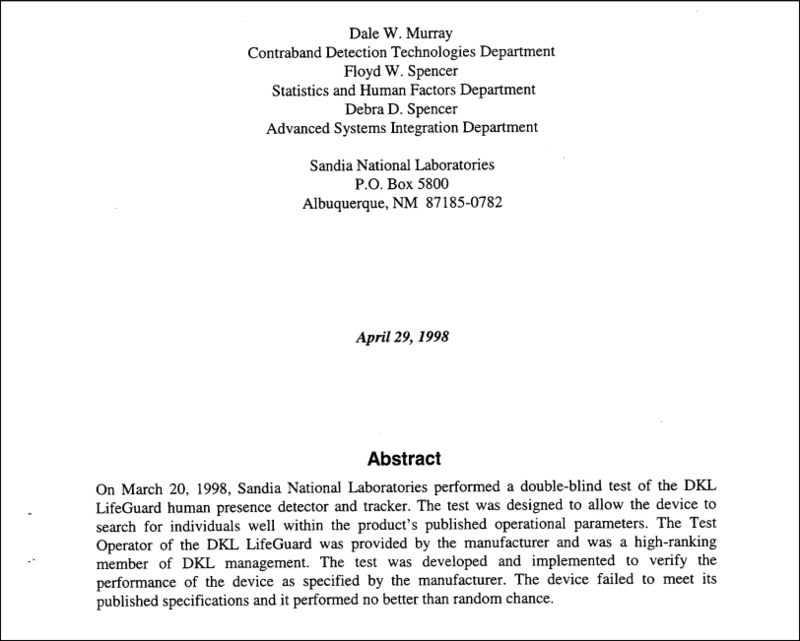 It was also in 2001 a business partner of McCormick, American Robert Balais, tried to sell the Mole to the National Law Enforcement and Corrections Technology Center in the U.S. Bailess traveled to the federal law enforcement center to show officials how the MOLE worked, but they insisted on conducting their own tests and sent the device to the Sandia National Laboratories–which had tested the “Quadro Tracker” 7 years earlier in 1995. Sandia researcher Dale Murray was sure he had seen a remarkably similar contraption before because he had tested the Quadro Tracker back in 1995. 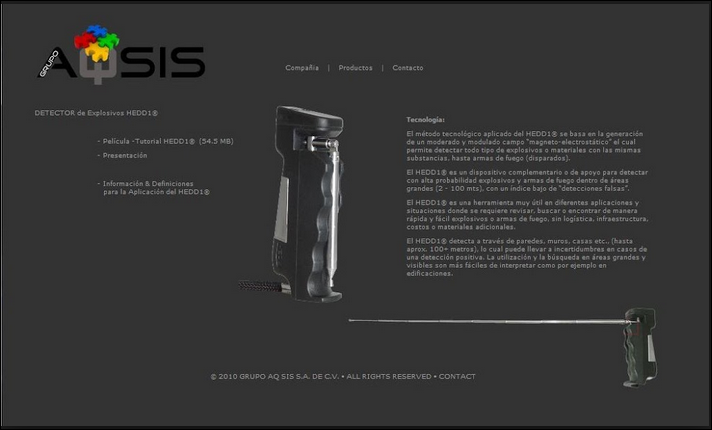 The Mole had exactly the same “patterns of stippling on the plastic handle. It looked like someone had taken the injection molding from one location to another and just put a different label on it,” he said. So, in 2002, the Mole had to go through yet another name change after being determined, once again, a fraud by the U.S federal government researchers, did not work, having tested “no better than a random selection process”. Gary Bolton renamed his product the GT200 and parted company with McCormack, who sold a replica device he called the ADE 651. 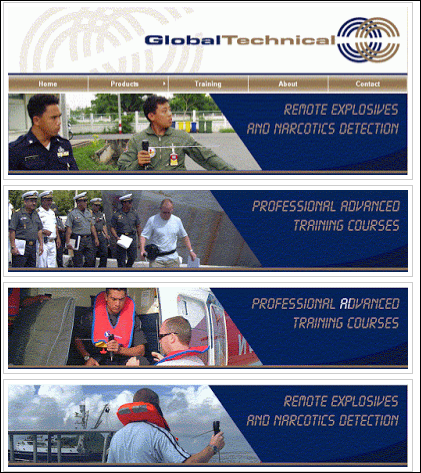 Bolton created Global Technical Ltd and began marketing the GT200 to military’s and governments around the world, claiming to be able to detect everything from ammunition, explosives, drugs, gold, ivory, currency, tobacco and “human bodies” from as far away as 700 meters. 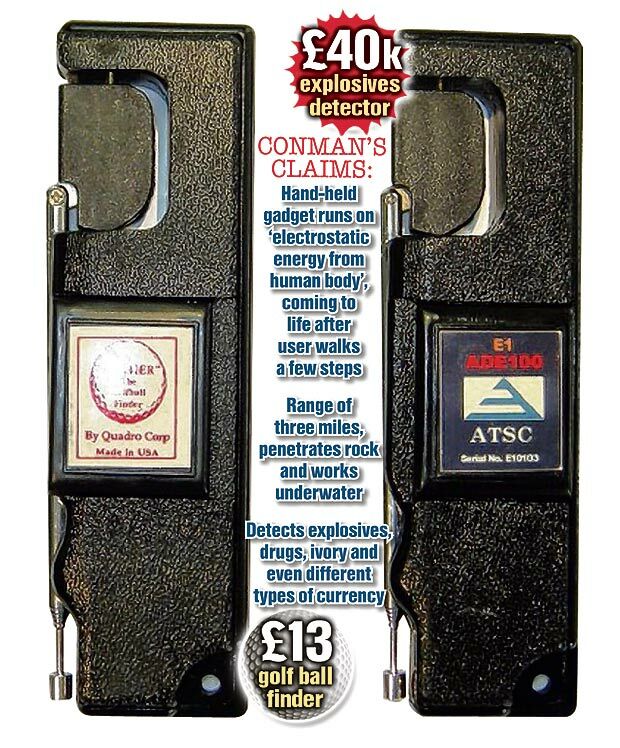 Like the Golf Ball Locator”, it had a “Substance Sensor Card” which, when inserted like an ATM card, resulted in an “attracting field” that created a “dia/para magnetism” which resulted in the antenna signaling where to find the bomb/golf ball/drugs/AIDS patient. Meanwhile, his former partner, McCormack, was scheming and rejigging and traveling the globe hawking his devices as they rode the wave of post September 11 global fixation on the “war on terror” and the U.S. led wars in Iraq and Afghanistan. In 2004, McCormack sold his first ADE100 to Kenyan police, and by 2005, sold units in Singapore and Japan and partnered with salesmen in the United Arab Emirates, Vietnam, and Syria. 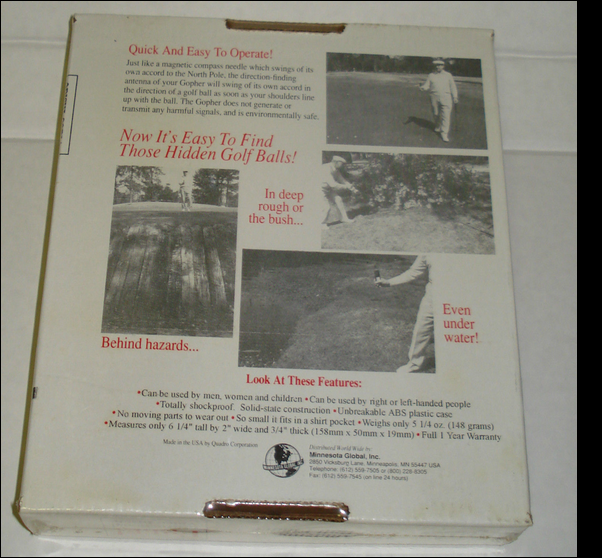 As orders picked up, McCormick contacted the U.S. Minnesota Global mail-order company and ordered their remaining 300 stock of the original Gopher golf ball finder at $19.50 a piece. He simply peeled off the golf finder labels, stuck on his own logo, and called them the “Advanced Detection Equipment ADE651” which he claimed could locate bombs. He hired UK based designers from a local plastics manufacturer to improve the look and make the design flashier design with a more military-looking pistol grip. “It was just more plastic molding to us,” Ian Low, director of Merriott Plastics, a supplier of components in Somerset, England, was quoted as saying in the London Guardian and during later court records. McCormack claimed his “Advanced Detection Equipment ADE651” employed “electrostatic ion attraction”, and he created colour coded stickers representing the various substances he claimed his machine could locate by soaking the stickers in the substances “to absorb the vapor”. He then glued the stickers inside the hand held rectangular plastic box with the new and improved designed grip from which the antenna protruded. McCormack then peeled off the plastic sticker which identified the device as a golf ball locator and glued on his own ATSC logo. He sold his ADE 651, in March 2006, to his distributor in Lebanon, for $3,000. 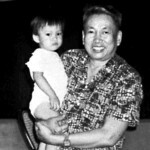 He then sold them to the military’s and governments of Georgia, Egypt, Kenya, Romania, Niger, Thailand, Iraq, and Saudi Arabia, among others, for $5,000 to $40,000 each. 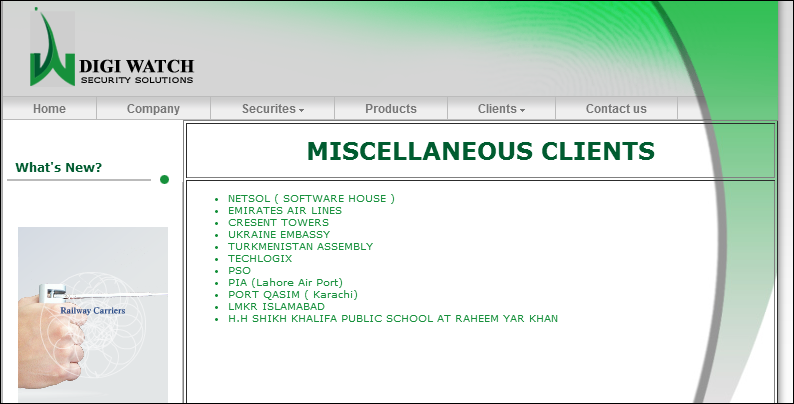 Iraq soon became his biggest customer, where he sold an estimated $87 million worth between 2006 and 2009. 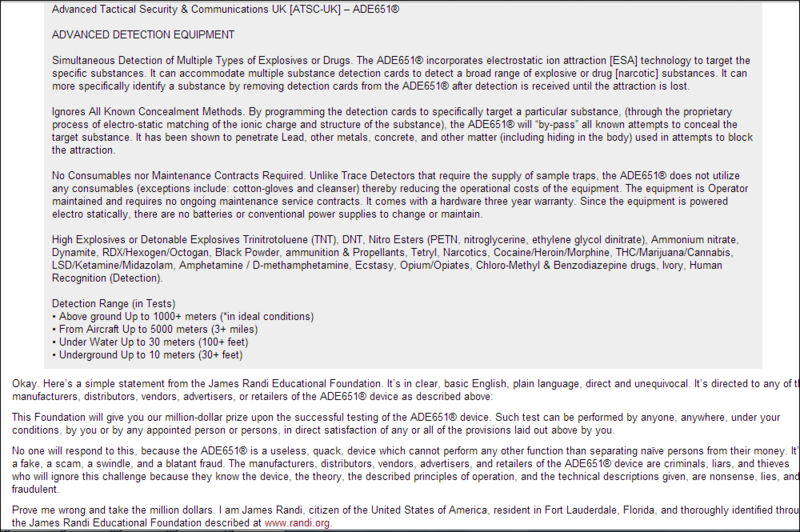 McCormick said his ADE 651 could find any kind of bomb using his “card reader” with different “cards” one could insert into a slot each with the “molecular signature” for each substance. But McCormack now said that it was mandatory that users be “trained” in their proper use or it would be too sophisticated to work properly. The price of the unit with training skyrocketed to more than $30,000 each. 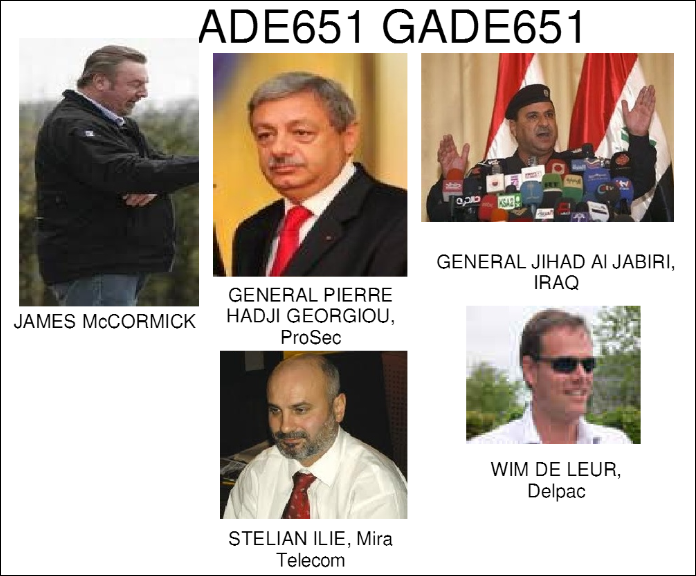 Iraq, Lebanon, Libya, Iran, China, Syria, Jordan, Georgia, Mexico, as well as hotels, businesses and private security companies all bought McCormick’s ADE 651. 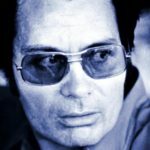 He made millions training operators how to shuffle in place to create static electricity which would create an “ion attraction” that would be the power source for the contraptions. For good measure, he glued on the logo and seal of approval of the “International Association of Bomb Technicians”, a real organization of which he had no affiliation with. Business also took off for Gary Bolton in 2006, and both British businessmen made tens of millions of dollars until it inevitably came to an abrupt end–at least for them–towards the start of 2010. By 2006, Gary Bolton was landing lucrative contracts with other military run regimes and, between 2006 and 2013, Gary Bolton, had sold 1000’s of his GT200 remote substance detector to Thailand and other countries at around 1,100 times their production cost. While many reports blamed, McCormack for being behind both models of fake bomb detectors, they in fact sold essentially the same product to different military run governments, McCormick the ADE651 and Bolton the GT200. 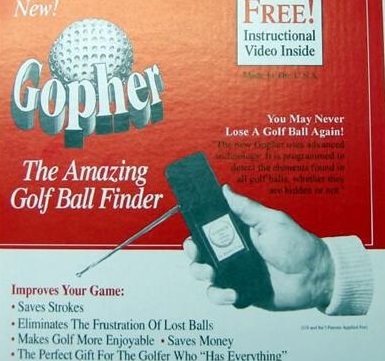 But the two were indeed former business partners and the two gizmos both evolved from the Gopher Golf Ball Finder. The ADE651 biggest customer was Iraq and for the GT200 it was Mexico and Thailand. 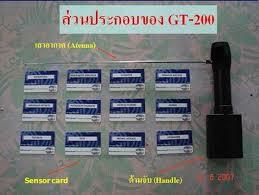 After 2006, about a dozen Thai government agencies purchased 1,576 units of the GT200 and Alpha 6. Aside from the Royal Thai Army and Air Force, who were the first to use government funds to procure the fake detectors, the Thai Border Patrol Police, the Office of the Narcotics Control, the Justice Ministry’s Institute of Forensic Science, the Customs Department and the Defense Ministry’s Royal Aide-de-Camp Department who provides security for Thailand’s royal family, all eventually bought the fake detectors. From 2006-2012 Mexican law enforcement agencies and the military purchased more than 1000 of the GT200’s from Bolton. In 2007, the Iraqi Interior Ministry gave McCormack its first contract, eventually adding up to more than $80 million. The Iraqi Interior Ministry bought 800 more in 2008 for $32m and 700 additional units in 2009 for $53m in no-bid contracts with McCormack. All together, McCormick sold 7,000 fraudulent explosive detectors to Iraq, which cost him less than $50 a piece to manufacture, for between $2,500-$30,000 each. A 2011 Report to Congress by the Special Inspector General for Iraqi Reconstruction said 75 percent of McCormick’s sales was money that went to bribes, including to the head of the bomb squad’s Major General al-Jabiri. Meanwhile, Bolton made millions of pounds a year between over 2006 and 2012 selling the devices for more than $20,000 to countries which included Mexico, Thailand, Pakistan, China, India, the Philippines, Singapore, Egypt and Tunisia. 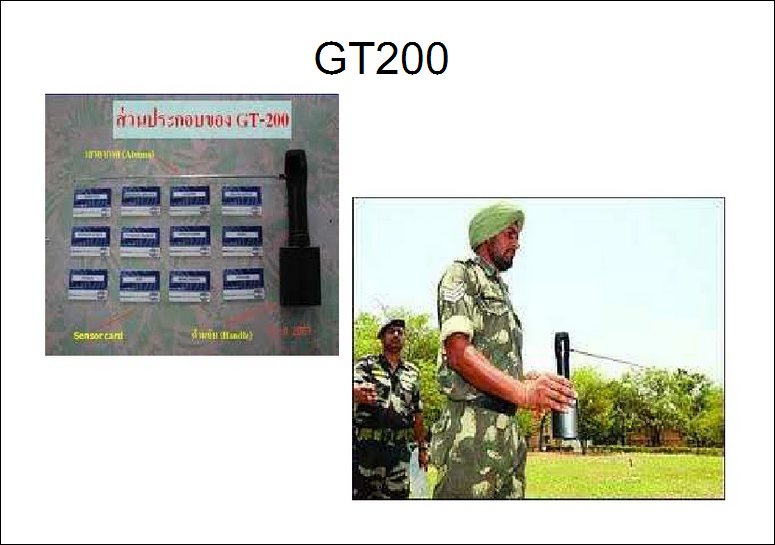 Mexico bought 1,200 of the bogus GT200 devices for use in their war on drug cartels. As was true in Iraq, Egypt, Mexico and the UK, it was the free press who initiated official investigations which proved the devices to be a scam–implicating corrupt government officials both institutional buffoonery and as knowingly purchasing the devices for kickbacks. 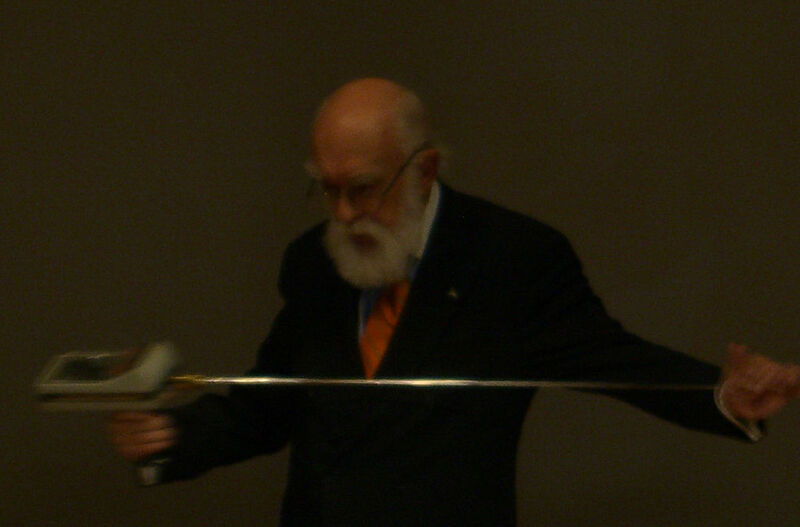 The magician and skeptic James Randi publicly offered one million dollars to anyone who proved the effectiveness of the ADE 651 in October 2008. Randi called the ADE 651 “a useless quack device which cannot perform any other function than separating naive persons from their money. It’s a fake, a scam, a swindle, and a blatant fraud. Prove me wrong and take the million dollars.” Nobody has taken Randi up on his offer. 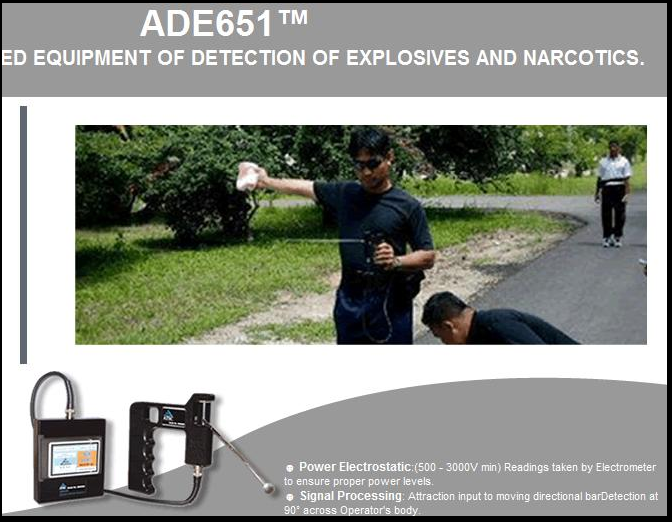 The German news magazine Der Spiegel reported that the ADE-651 had been tested in 2008 in Israel but was “kicked out of the country”.”The thing has absolutely nothing to do with the detection of explosives,” an Israeli explosives expert told the magazine. When it was displayed at an arms and security fair in Beirut in April 2009, a visiting explosives expert described it as “one big fraud”. “If someone comes to an expert, claiming that he had developed a device that can detect the smell of explosives from several meters away, the expert must know that this is physically not possible,” said Gadi Aviran, the head of the Israeli security firm Terrorgence. 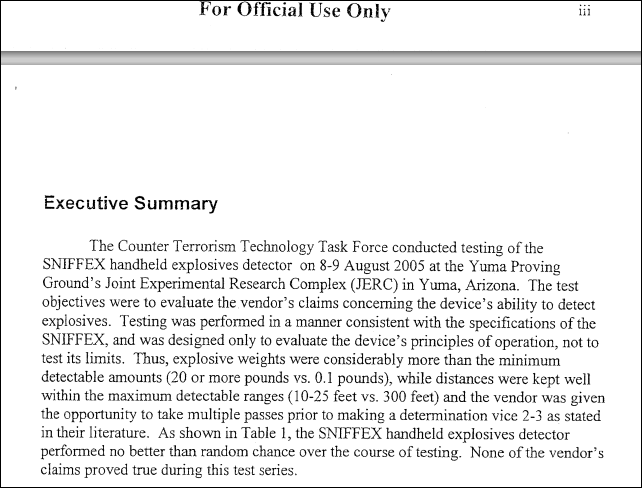 A U.S. Army test of one device found that it was unable to detect a truck carrying a ton of TNT when it drove up behind the operator. The New York Times on November 3rd 2009 wrote a much chattered about article bringing widespread attention to the use of the devices in Iraq. 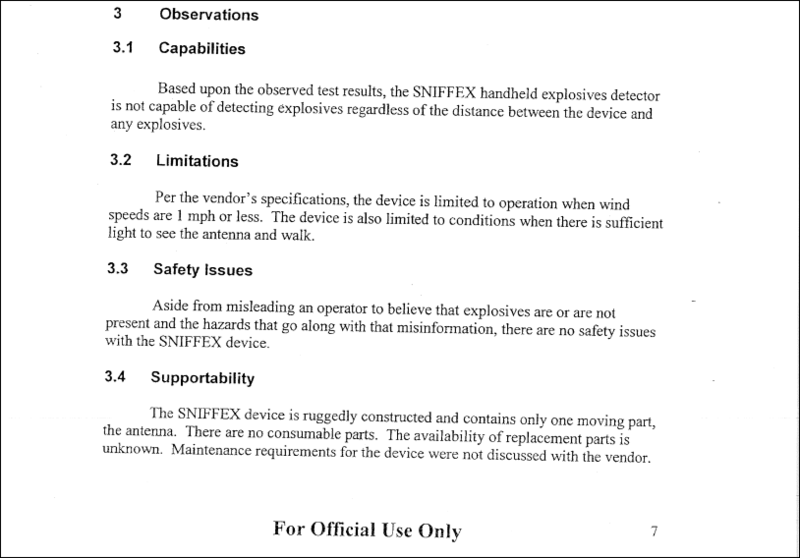 The Iraqi security forces’ reliance on the device was highlighted by The New York Times investigation in November 2009, which reported that United States military and technical experts believed the device was useless. Caroline Hawley from the BBC’s Newsnight program investigated the ADE 651 in January 2010, asking the University of Cambridge Computer Laboratory to assess one of the “programmed substance detection cards” used in the device to detect TNT. The laboratory found that the card contained only a standard radio frequency security tag of the type used in stores to prevent shoplifting. According to the laboratory’s Dr. Markus Kuhn, it was “impossible” for the card to detect anything and it had “absolutely nothing to do with the detection of TNT”. The card could not be programmed, had no memory, no microprocessor and no form of information could be stored on it. Despite the high cost of the devices, the cards were worth only about two to three pence (3–5¢) each. Kuhn commented: “These are the cheapest bit of electronics that you can get that look vaguely electronic and are sufficiently flat to fit inside a card.” The “card reader” was found to be an empty plastic box. 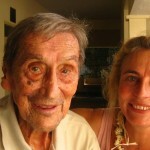 And despite the exposure by the media and the scientific investigations in each country and the official, unqualified conclusion of the investigations by the U.S. and British governments, military officials in all these military run countries continue to refuse, still, to acknowledge the facts in the face of the evidence. In June 2009, U.S. military scientists did a study on the ADE-651, and declared they were useless. 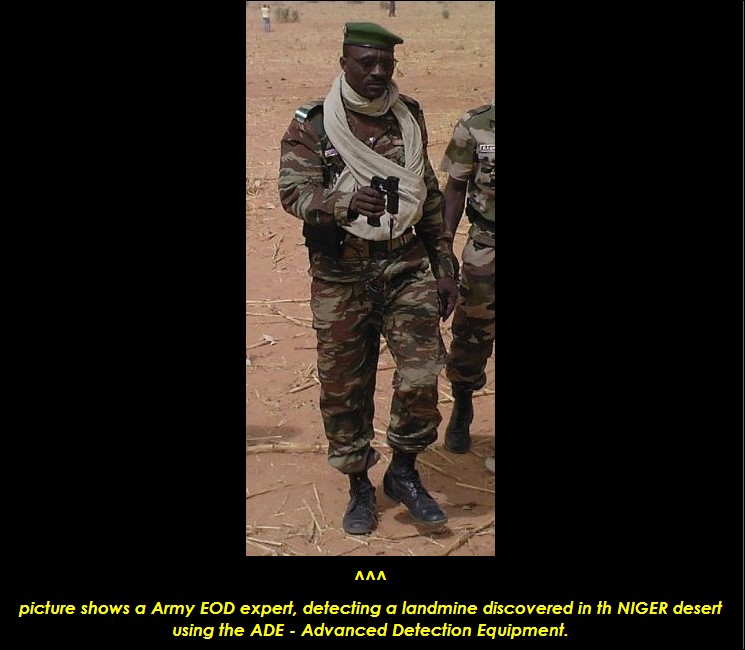 “The examination resulted in a determination that there was no possible means by which the ADE651 could detect explosives and therefore was determined to be totally ineffective and fraudulent,” Major Joe Scrocca, a US military spokesman in Baghdad, told the Associated Press. 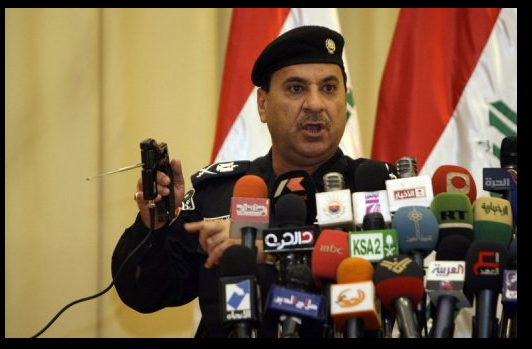 On Dec. 9, 2009, Major General Jihad al-Jabiri, head of the Iraqi Ministry of the Interior’s bomb squad, held a press conference at the Interior Ministry officer’s club, to give a live demonstration of the ADE 651 bomb detection devices used at over 1,400 Baghdad checkpoints. It was the day after car bombs had killed 127 and wounded at least 400. 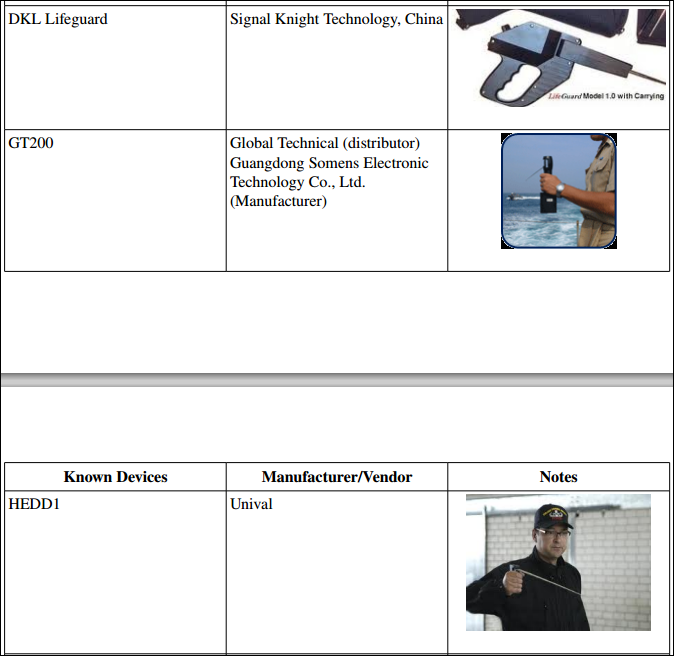 A 2010 BBC investigation concluded that the “sensor card” of the GT200 was a sheet of paper between two sheets of card “that had been cut off from a larger sheet with a knife or scissors” and had no electronic components. 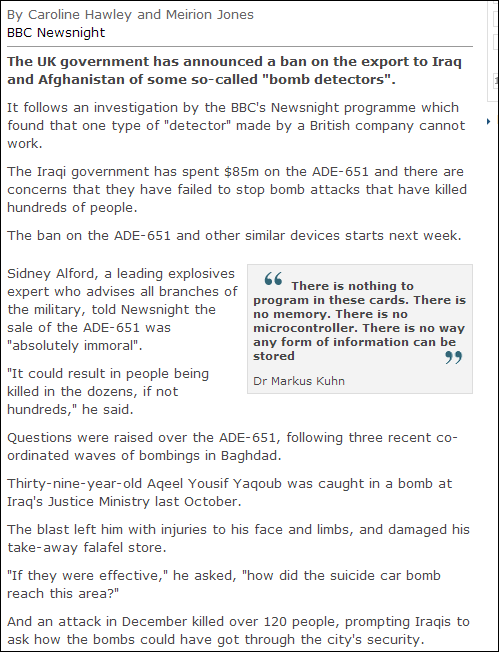 “Speaking as a professional, I would say that it is an empty plastic case, “explosives expert Sidney Alford told the BBC. In 2010, Iraqi Major General Jehad al-Jabiri said “Whether it’s magic or scientific, what I care about is it detects bombs,” he said. Thai security forces bought more than 1,500 of the bogus devices since 2006 which were used to arrest and jail thousands in Thailand’s troubled south, and thousands more arrested for involvement in narcotics trafficking. After being confronted by the U.S. and U.K governments with warnings the devices were ineffective, Thailand’s Ministry of Science and Technology tested the detectors and determined them to be worthless. As of this year, the Thai army still uses “most of its 750” detectors in southern Thailand, according to the country’s Department of Special Investigation. 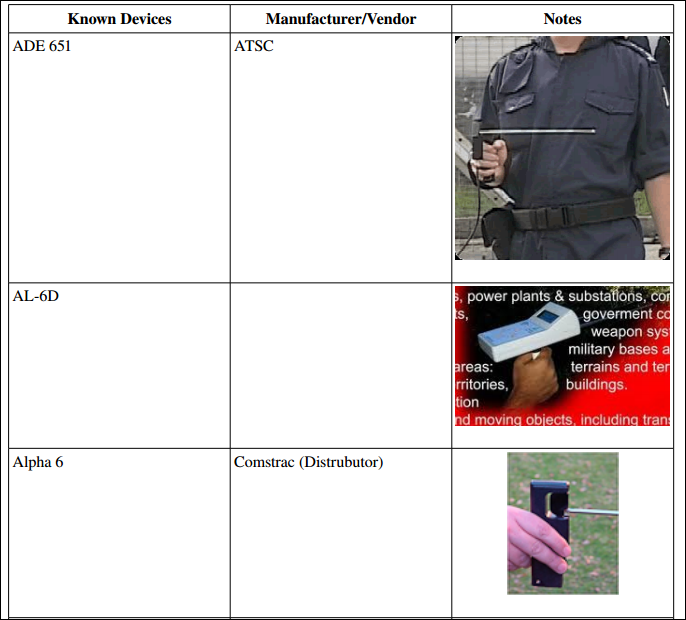 Thai security forces bought 1,576 of the fake devices at a cost of US$30 million. However, Thailand’s top generals continue to still defend and use the devices. “Do not say the GT200 used as a bomb detector in the far south does not work,” Defense Minister Sukumpol Suwanatat said in 2012. “”It has often detected explosives.” In 2006, Defense Minister Sukumpol was air force chief of staff when the air force was Thailand’s first agency to buy GT200s to detect drugs and bombs at airports. Then the army bought more than 750 GT200s, approved by Gen. Prayuth Chan-ocha, who is the dictator in charge after he led the military coup in May. “Speaking as a professional, I would say that is an empty plastic case,” British explosives expert Sidney Alford told the British Broadcasting Corp. in 2010 after inspecting the internal components of a GT200. The “detection card” which was purported to recognize explosives or drugs, was a useless paper card, Alford said. 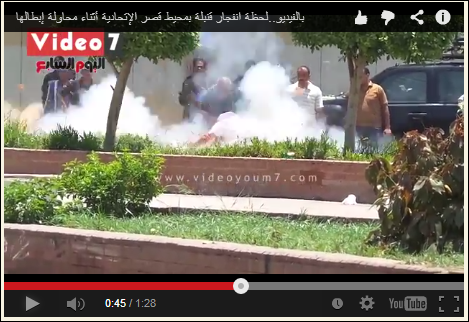 Bomb explosion last week outside Cairo presidential palace. 10% of suspects in southern Thailand’s ongoing insurgency were arrested after being ‘detected’ by Thai security forces using the GT200, according to Human Rights Watch. 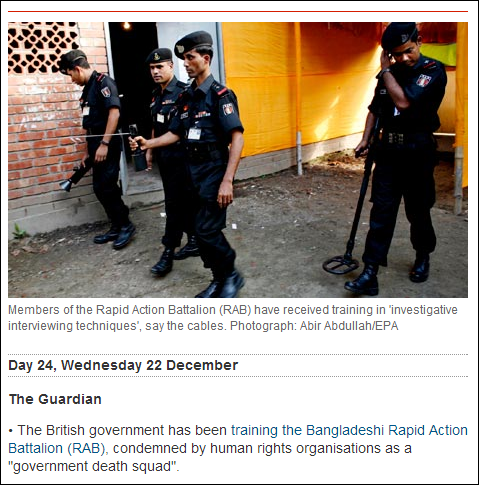 “It is common during security sweeps in the south to see Muslim men lined up on the roadside with their shirts off while being screened by a GT200. Many of those implicated by the GT200 have been arrested and then tortured, said Brad Adams of Human Rights Watch. 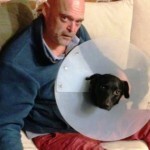 “The operation of the device is causing a lot of suspicion among scientists in Thailand for several reasons. According to them, the procedure of finding suspicious objects is not based on a reliable scientific method,” concluded The Thai Working Group on Justice for Peace in 2009. The Ministry of Science and Technology compiled a team which included engineers, scientists, military, police and representatives of the Office of the Narcotics Control Board and the National Statistics Office. Tests by the National Electronics and Computer Technology Center comprised 30 GT200 operators, 30 members of the investigating committee and 10 independent observers. 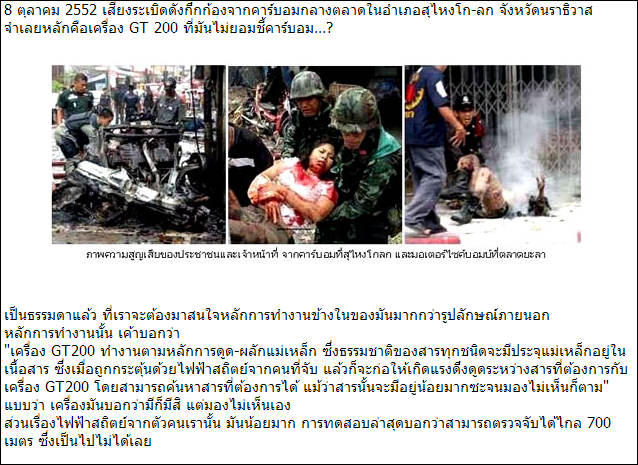 The test results showed the GT200 had detected explosives only four times in 20 tests, and the Thai Prime Minister declared “the performance is equivalent to random chance” and ordered the military to stop buying the machines. Like the Egyptian military’s insistence in the face of the evidence, the high tech divining rod has been defended by the Thai military who spent millions of dollars purchasing the device. 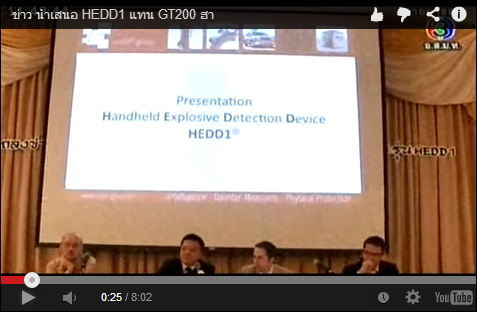 “The GT200 cannot detect explosives. It is not scientific equipment. It works on the users’ hunch. It is similar to a wood stick that people used to detect dead bodies buried in a cemetery,” Jetsada Denduangboripan, a scientist at Bangkok’s Chulalongkorn University, told the Thai parliament in 2010. Thai Army chief General Anupong Paochinda accused the press of working for the business competitors of Asia Satcom, which had sold the product to the military. “It is not Gen Anupong saying the device is effective. Officers in the South and the North and the current and former 4th Army commanders also say the same thing. We have bought them and if the users insist they are good, that’s the end of the discussion,” said 4th Army chief Lt. General Pichet Wisaijorn. The effectiveness of the device “depends on the static electricity stored in the body of its user. If the person using the detector is feeling weak physically, his static electricity will be down and weaken the effectiveness of the device,” said one Thai army commander. Even after the British government banned the further sale of the product and declared it a fraud, the Thai military insisted on its effectiveness. “I do not feel embarrassed if the bomb detector is proven ineffective. Personally, I have never handled the device myself. But my people have used it and it is accurate every time. Long long time ago, people believed that the Earth is flat and anyone who said otherwise faced execution. Things which are not visible does not necessarily mean they do not exist. The devices are there and no one has the right to ban their use. I will continue to use it,” said Pornthip Rojanasunand, Director of the Central Institute of Forensic Science. In 2009, Iraq came under scrutiny for its widespread use of the devices during a time when tens of thousands were killed or maimed in bomb attacks. In February 2010, a secret U.S. cable from Baghdad released by Wikileaks was titled that the use of the devices “MINISTRY OF INTERIOR BOMB DETECTOR STIRS CONTROVERSY AND CHARGES OF CORRUPTION”. The Iraqi prime minister’s response to the unambiguous conclusion that thousands of devices relied on to detect explosives were useless and ineffective was emblematic of Iraq’s larger absence of public support for the government. We formed committees the day the claims of corruption and rumours took place. The results were that the devices detect between 20 and 54 per cent under ideal conditions. ‘Ideal conditions’ means that the soldier has to have been trained in the use of the device, and that he knows how to use the cards, given that the card that is used to detect bombs does not detect arms, and the one that is used to detect arms does not detect bombs . . . Some Iraqi MPs are talking about corruption. The relevant people were taken to court and are now in prison. A court case was filed in Britain, and the person responsible for the forgery is also in prison. But what is the truth? The truth is that some of the devices were real and those devices do detect bombs, while the devices which the court case was about were fake. The problem lies with those that were fake. As for the devices that are real, their problem is that using them correctly requires experience,” said Prime Minister al Maliki. 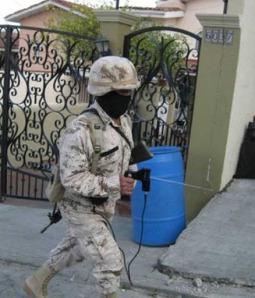 The CNDH received more than 3,700 complaints about searches prompted by the use of the GT200 since Mexico began its “war on drugs” in 2006, and demanded that the detectors be outlawed. 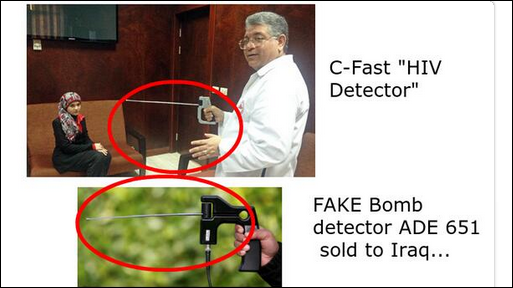 Gary Bolton sold Mexican security forces more than 1000 of the narcotics detectors. 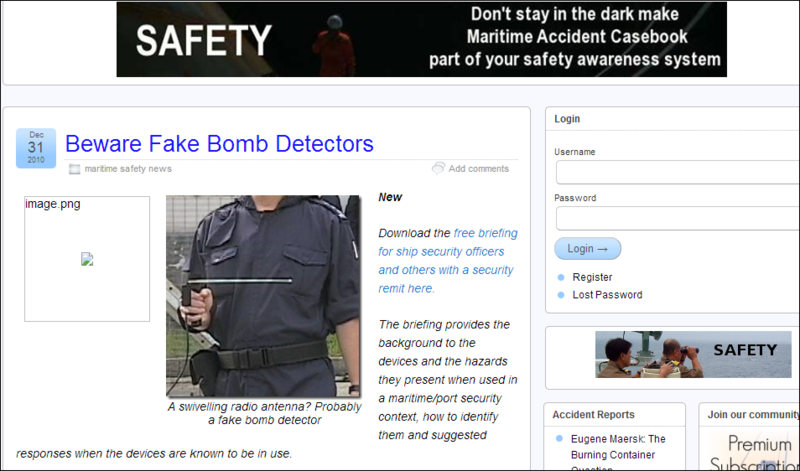 The bogus detection devices remain in use and marketed worldwide,not just in countries such as Egypt, Thailand, and Iraq. It would be not accurate to say that most buyers were or are duped into purchasing the useless detectors. They are fully aware that the technology is bogus, but receive bribes and kickbacks from using public funds to line their personal pockets. 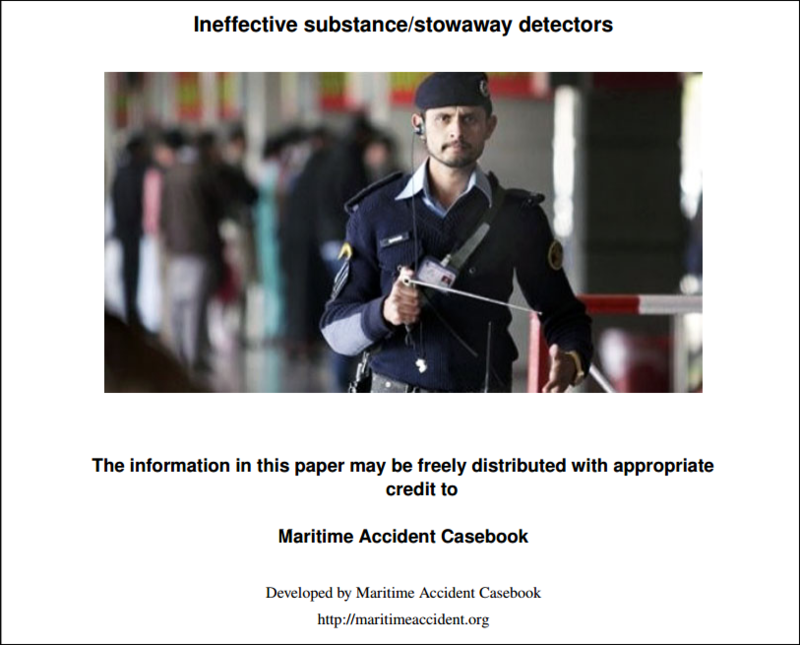 Numerous figures involved in the sale and acquisition of the fraudulent explosive detectors are simply charlatans or using their positions of political or military influence to subordinate the common interest for personal gain. They were more accurately a collaborative effort to line their personal pockets at a cost of the deaths and deprivation of liberties of millions of their citizens through knowingly and intentionally committing fraud through misuse of government resources and stealing government funds. Using state resources and bloated budgets of governments security services and other institutions and the corrupt manipulation of state funded procurement as the method of choice for personal corrupt enrichment or illegitimately seizing and maintaining political power. In order to allow to metastasize the cancerous effect they have on their citizens and civil society, they threaten and bully and intimidate and imprison and murder those representatives of the free press who, themselves, represent the silenced and intimidated and frightened voices of the powerless who are without guns, money, or political power. That is why the mediocre thugs who seized power in Cairo last year had to imprison the al Jazeera journalists in June. Because they could not allow public scrutiny or critical thinking to gain a toe hold in Egypt in 2014 or they would have no hope of retaining legitimacy or power. Of course they have no hope of holding power by consent, and by insisting on silencing its critics, they will, like those before and after them, sooner rather than later, lose all power. The imprisoned journalists in Egypt represent the hopes of all Egyptians. As of July 2014, dozens of countries, including Thailand, Iraq, Egypt, Kenya, Pakistan, Uganda and numerous others–in addition to private companies such as hotel chains and private security firms–still use the bogus devices. 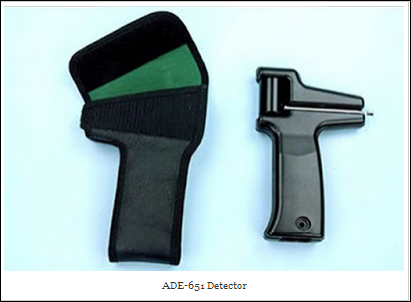 Pakistan still uses the fake ADE 651 to protect its airports, including major international airports that have been attacked by terrorists in recent weeks. At Karachi’s airport the ADE 651 failed to stop armed terrorists with guns, bomb vests, rocket-launchers and grenades who penetrated the airport in June. Iraq still uses the devices at checkpoints throughout the embattled country as it falls further into chaos, primarily from a stark absence in public allegiance to the current government–not support for the sectarian guerrillas. Iraqi Interior Ministry bomb squad commander Major General Jehad al-Jabiri said: “Whether it’s magic or scientific, what I care about is it detects bombs.” al-Jabiri has since been charged with taking bribes from McCormick to procure the ADE^%! detectors. 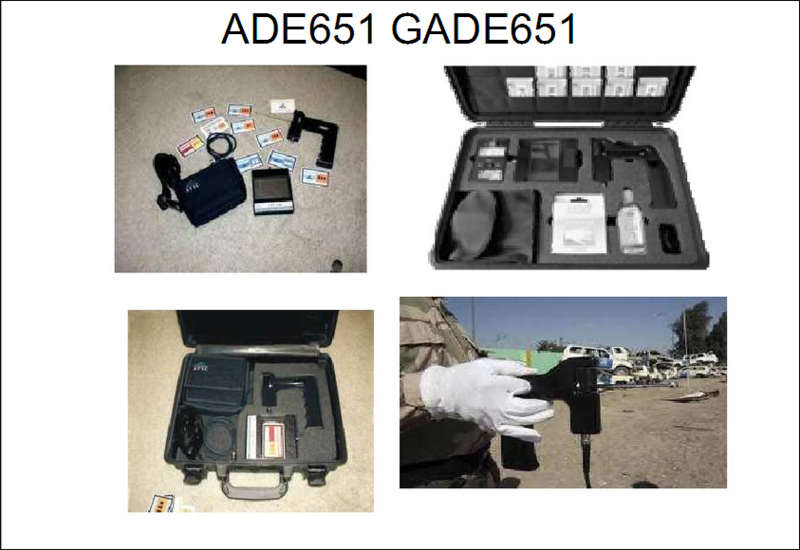 McCormack is in prison, the Iraqi government’s own tests have proven the uselessness of the devices, but the ADE 651s are still being used to intercept explosives in Baghdad. In Beirut security guards still check for explosives with an ADE 651. And in Thailand, despite government investigations that they are worthless at detecting anything, they continue to be used in the insurgency war in the south. 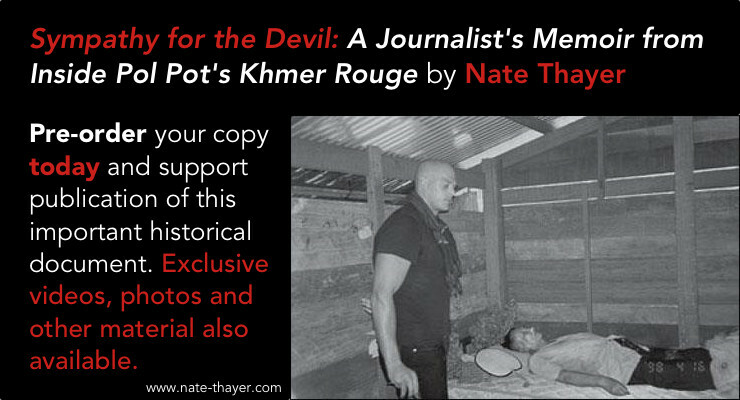 In Thailand, 6000 have died in the violence in the south since the first ADE 651 were purchased. Most of those deaths have come from explosive devices. 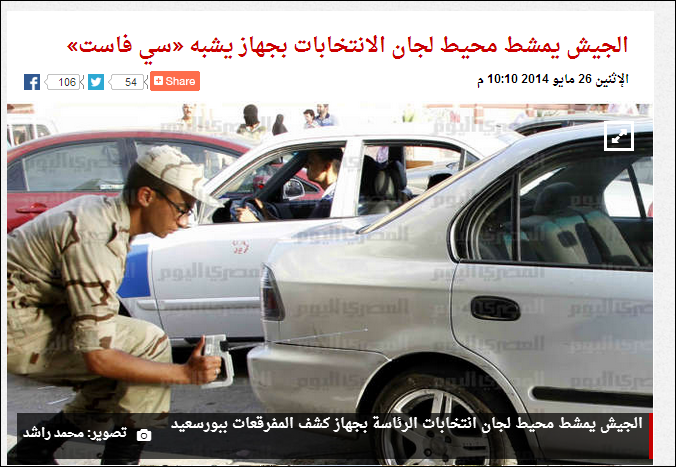 And in Egypt, the military failed to detect bombs that went off on the perimeter of the Presidential palace last week. And that has upped the ante–trumpeting the false science as a victory of their government to prevent the deaths from a disease of which its citizens suffer the highest rates on earth.